Of the many family films that are termed classic, this one surely merits the label. 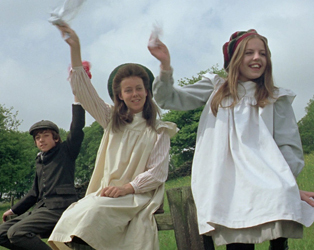 Adapted from E. Nesbit’s much-loved book, it’s the story of three children who move to the country with their mother, after their adored father vanishes from their world one day, arrested for espionage. To these children, the country is an unknown place of fields, adventures and trains, which roar past their home daily, filled with promise of unknown places. Bobbie, an unforgettable Jenny Agutter, Phyllis and Peter are more or less left to their own devices while their mother tries to eke out a living and hides from them the shame of her husband’s disgrace. Filled with memorable scenes, sentimental, undoubtedly, this classic film is unashamed in its gentle portrait of a bygone innocence.